A new book, new excitement! 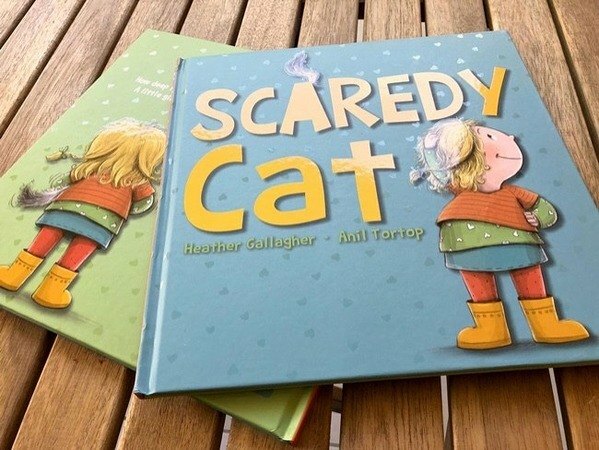 I’m very happy being the illustrator of Scaredy Cat, because I am an illustrator, and illustrators love illustrating the stories they like! Especially when there was significant room left for the illustrator to fill. Skipping the excitement of receiving the offer and signing the contract part, here is a brief story of how I did the illustrations. I know it looks pretty messy and although it’s very obvious to me, I needed to communicate with the editor. Sending a cleaner version of this one was a good idea! I made another one digitally. In fact, from that point on, I did everything digitally on Photoshop, using a drawing tablet. It was a relief! So far it was all about thinking, planning, researching, deciding, changing my mind, and re-deciding. It requires a serious amount of brain energy! Knowing what is happening on each page is the first moment of satisfaction. Now we have the main characters, it’s the time to do the sketches. I wanted the illustrations of this book to look a bit “sketchy” with loose and soft lines. I tried to make the roughs in a way that I could use them as final line drawings. I found that, my best sketchy lines appear when I am actually sketching, rather than faking it later. I picked up my Photoshop Pencil brush, selected a brown colour and made the sketches for the whole book. After exchanging some emails, they were approved. This is not one of those satisfying moments for me, but once they are fully coloured, it will be. That’s all! Done and dusted! Sending files to the publisher is a big satisfactory moment that deserves the overuse of exclamation marks!!!! It may sound like the process was easy, and everything I drew was always perfect, but it wasn’t (I wish!). I didn’t go into detail about why I had to change a dog to a cow, or how the pirates evolved from chickens but these little, sometimes not-so-little, changes are the details that make “the book”. Teamwork and lots of communication is required. 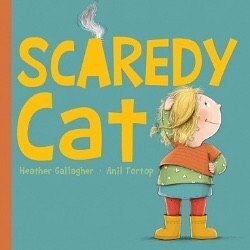 Although it went pretty smoothly, I have 137 emails in my mailbox related to Scaredy Cat! And here it is. With all the shiny little hearts! Thanks for sharing, Anil. I found it really interesting to follow your process and I love the palette your chose. LOVE this book - it's amazing!!!!! Both the story and the illo's are sooo awesome! Congratulations to Heather Gallagher and you too Anil!!! !